LAAG started in March 2006 in response to the Lakewood house explosion due to fireworks. What seemed like a "fireworks" problem at first really turned out to be a totally dysfunctional Sheriff's substation that was literally asleep at the switch. Since that time we have seen more money poured into the Sheriff's department in Lakewood without much in the way of results. (like hundreds of thousands for fireworks patrols and 20 million for a new station) We are plagued with embarrassing stories like these regarding the Lakewood station. 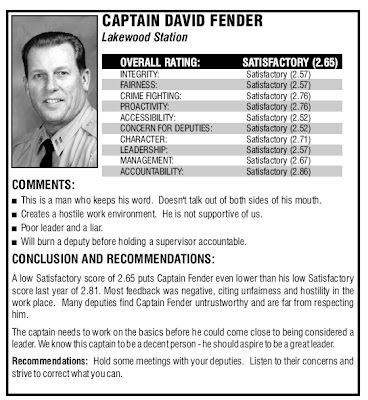 So we started looking around for information on Captain David Fender who runs this circus that is the Lakewood Sheriff's substation. Lo and behold he is not held in very high regard by his peers or his deputies either. 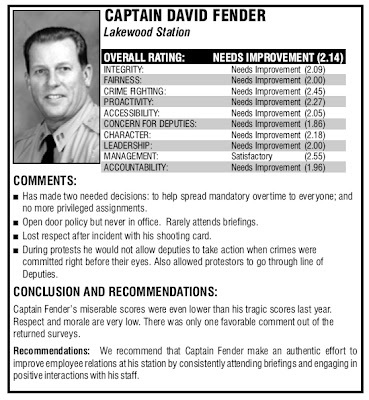 Just take a look at the 2004-2006 ratings his own deputies give him. 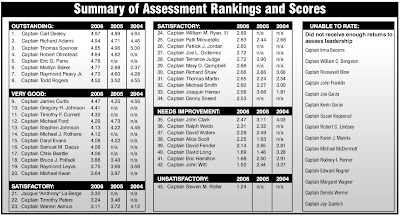 He is 39th out of 43 captains rated!! Dismal and getting worse. Cant wait to see 2007 ratings. You can read the full reviews for 2005 here and 2006 here. 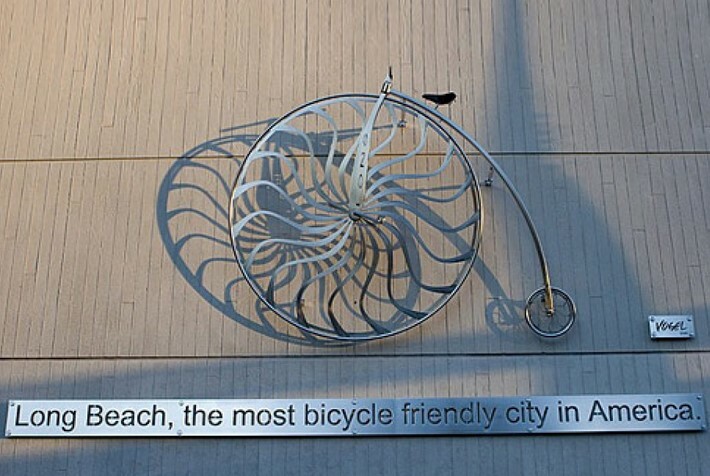 I think its time the City of Lakewood, which is in charge of the Lakewood Station, (as its their contract) demand that a new Captain be brought in. LAAG can help in the selection process.